It's a little different, I'll admit, but the idea is the same, rolling your wishes and keeping them grouped together. 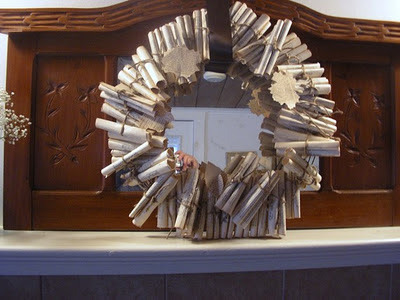 So during the library during the month of December we are collecting New Years Wishes to be bundled in groups of 2-3 and to be hung up on a wreath for the New Year. 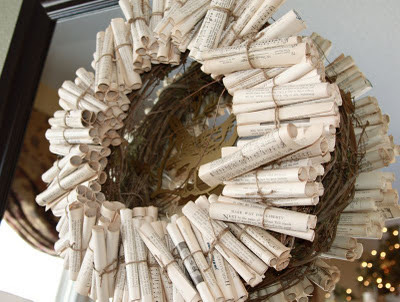 The idea was inspired by rolled pages on wreaths and coupled with my original desire of having a Wish Box. I hope we have some wishes to put up!